This is our favorite craft. 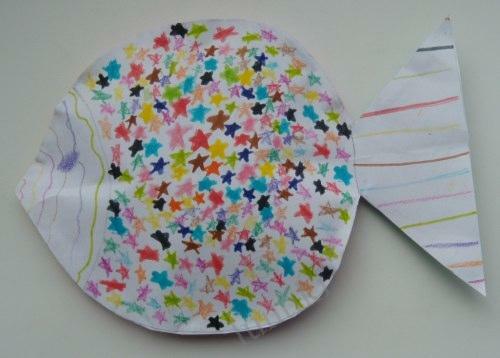 A fish consists of 2 parts, inside it has some padding polyester. 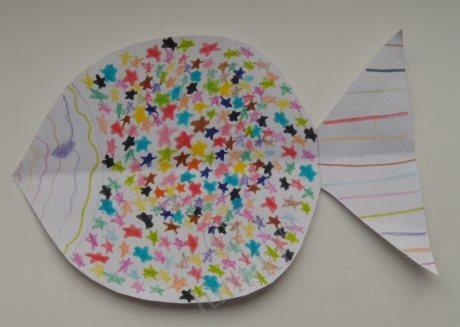 In the beginning it`s necessary to draw such a fish — a child can make it on his own, if not, help him. Then cut out the fish, put it on a clean sheet of paper and copy it, so that the two halves of the fish should be absolutely the same. 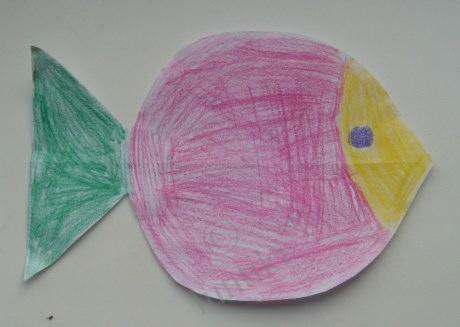 Cut out the second part of the fish and color both of them as you like. Now glue both parts of the fish putting a little padding polyester inside. 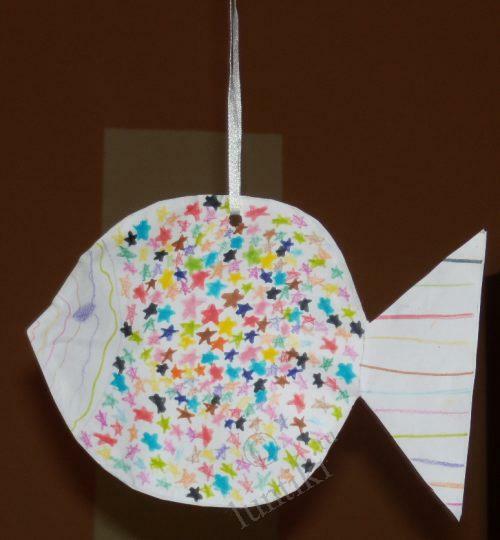 You can hang such a fish on the rope — make a hole with a punch and draw in a string. Wow! I like it because of its simplicity. We`ll sure make it!